This recording of Tchaikovsky’s ‘Pathétique’ is a ‘monument’ in every sense of the word. Five, to be precise. With 33 recordings of Tchaikovsky’s sixth symphony in Super Audio alone, there is no shortage of choice. Reference recordings of the past have been remastered in high resolution, like the legendary Mravinsky and the Leningrad Philharmonic, some with drawbacks: Dated sound quality, stereo only, imperfect remastering, expensive etc. Newer ones, recorded with the latest techniques, have been added with varying quality to the catalogue. Though some are very good, not all are excellent in all departments. Moreover, preferences have and will continue to differ on ‘the monuments of music history’; it will not come as a surprise that any newcomer in this field will be regarded with much circumspection. Some want more passion, others more drama and others again, more ‘noise’. And in many a case, expectation or cultural tradition may also play a role in someone’s appreciation: the whack on the bass drum that didn’t come off as loud as expected or the waltz that wasn’t as Viennese as it should have been, etc. It is now customary that conductors or soloists give in the liner notes their personal views on the music they play. Manfred Honeck, however, goes much further in that we are allowed to not only get his well-documented insight in the music, but are also made privy to his intimate views on interpretation, and what’s more: why and where he thought adaptations were desirable or needed to enhance the essence of what, in his view, Tchaikovsky has to tell. This is not a trivial matter. Like a reviewer, the more you say, the more you are vulnerable to criticism. I, for one, value Honeck’s considerations, - to be agreed on or not - very highly; it makes for so much more understanding of what he endeavours to bring about. This is my first, positive ‘sense’ of the word ‘monumental’. My second ‘sense’, concerns the way he conducts. Although I have never been present at one of his performances, listening is enough to understand that Honeck must be someone with a phenomenal authority. Conveying ideas to an orchestra is one thing, but letting an orchestral body of around 100 musicians carry them out like clockwork, as if holding everyone on a personal string, can only be done if musicians believe in their master and have confidence in what he is asking them to do. This makes a Chef stand out from the crowd. Manfred Honeck is such a Chef. The third ‘sense’ is the called The Pittsburg Symphony. What a fine example of committed playing. Live recordings are either the best or the worst in comparison to an empty hall recording session. If the spark between audience and musicians gets across, this invariably draws out the best in every performance. This has clearly happened here. Any of the three concerts in Heinz Hall, Pittsburgh, from which this recording has been assembled, must have been an unforgettable event. Wish I could have been there, too! Moving on to the recording, we get to the fourth ‘sense’. As with previous releases in the Reference Recordings ‘Fresh!’ series, the recording has been entrusted to ‘Sound Mirror’ from Boston, Massachusetts. Not only are they top notch, they also have extended experience with recording in Heinz Hall. In order to capture the starting pppppp passage I had to turn up the volume considerably. No problem: All that follows passes, up to the loudest ffff passages, without any sign of strain or distortion. The orchestral balance, which is basically the task of the conductor, but has here been worked out during ‘extensive listening sessions with Maestro Honeck and orchestra musicians … in refining the final balance’, gives preference to putting the listener in the best seat in the Hall, with the surround speakers only adding ambiance and depth in the sound stage. The recording was made and post produced in DSD 256. (For a caveat see my remark below). The final fifth and best ’sense’ is Honeck’s rendition. I share his views on the pitfalls, especially the danger of excessiveness. Controlled emotion reinforces feelings better than excessive drama. Let me quote here one of his views with which I wholly concur: “Regarding the second pitfall, excessive and sustained dynamic levels without moderation, within the numerous risings and eruptions that are directly indicated by Tchaikovsky, one must be careful not to always play the written fff. Otherwise, this could lead to ‘Tchaikovsky noise’… It is also necessary… to intervene at times…for variety in the endless lines in the third movement, all indicated fff. Instead, I reduce the volume at the beginning in an effort to make the rising dynamics possible and audible”. This is, indeed, not only clearly noticeable, but also done with an extraordinary vivid response from the orchestra, as if the Maestro had a master volume switch on the rostrum. When comparing different versions of the ‘Pathétique&apos; the first thing I always do, is listen to the final movement, which comes as an epilogue after the tumultuous end of the third (it is not unusual that less experienced audiences applaud, expecting the symphony to be finished). Honeck’s ‘Adagio lamentoso’ is marked by a deeply felt sorrow, ending in acceptance of fate and ultimate resignation, without dragging the listener into a tearfully sentimental drama. For me, this gives evidence of having understood what the symphony is about, at least as I see it: A darkly spirited and sometimes fighting statement of life, with all the emotions and events it unavoidably entails; embracing feelings of sheer happiness and utter tragedy, while ultimately accepting its finality. Without going into a detailed description of each movement, it is obvious that this symphony gets a personal, yet most fascinating rendition; never too much, nor too little. In my dictionary Pathétique is not the same as ‘pathetic’ (as some believe, translating it literally from French), but ‘emotionally passionate’. We owe it to Maestro Honeck, as well as his musicians and the expert recording team that he gets this feeling so indisputably across. My sixth sense tells me, that this recording will score high on anyone’s short-list. For Europeans I may add that they, too, will soon be able to listen ‘live’ to Manfred Honeck and his Pittsburghers in numerous towns across Austria, Belgium, Germany and Switzerland during their forthcoming European tour (May/June 2016). [There is one point, though, that needs to be addressed: At the beginning of the final movement, before the violins set in, there is a soft sound, lasting less than a second, but which may for some nonetheless be disturbing. Sound Mirror responded by saying: “The slight noise heard there is the sound of the conductor and orchestra members breathing as they start to play”]. People often complain if the full capacity of a disk has not been adequately used. The symphony lasting around 47 minutes, there is, technically speaking, about 33 minutes left for an additional work. The overture ‘Romeo & Juliet’ is an obvious choice, sometimes placed at the beginning rather than the end, like Paavo Järvi/Cicinetti Symphony/Telarc. Daniele Gatti (Harmonia Mundi USA) has opted for the ‘Serenade for Strings’ after the symphony. It’s unobtrusive, but in my opinion the best thing to hear at the end of the final movement is: Nothing at all. Like Dmitri Kitajenko / OEMS Classics (his Pathétique lasting for more than 50 minutes anyway) & several others have judged best. Honeck gives us a 20 minutes compilation of melodies from Dvoraks opera &apos;Rusalka&apos;, in what is labeled ‘Rusalka Fantasy’. The assembly, for which he has teamed up with Tomáš Ille “who brilliantly carried out the technical work”, is well done, but starts, kind of shockingly, with ‘Festive music that can be heard from the hall where lights are now blazing..’ (beginning of act 2). One may question the wisdom of adding such ‘incidental music’, borrowed from a tragic fairy-tale of a water nymph who longs to become human. I have my doubts. And although it is said that a violin is the instrument that comes closest to the human voice, the violin solo of concertmaster Noah Bendix-Balgley comes nowhere near the voice of Renée Fleming in her interpretation of ‘Rusalka’s Song to the Moon’ (Czech Philharmonic/Sir Charles Mackerras/Decca). My stars are for the symphony only. 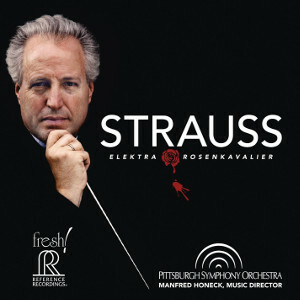 It is fair to say that Manfred Honeck&apos;s series of live recordings with the Pittsburgh Symphony Orchestra of music by Richard Strauss, Dvorak, Bruckner and Beethoven on the Reference Recordings Fresh! 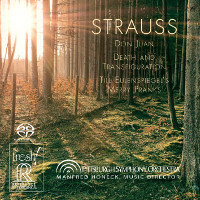 label have been revelatory, even to those listeners who are very familiar with the works featured on them that are, by and large, cornerstones of the orchestral repertoire. 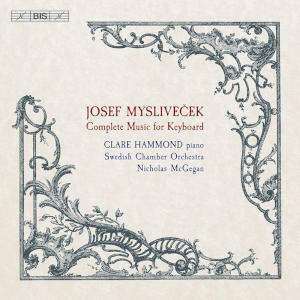 The main work on this latest release is Tchaikovsky&apos;s Symphony No. 6 in B minor and in an engrossing twelve page essay in the liner notes Honeck first discusses the genesis of the Symphony and speculates on its probable secret programme. He then goes on to analyse the score with impressive forensic thoroughness before detailing some specific interpretative points in his performance of the work. These notes are almost worth the price of the disc! From the first bars it is clear that this is to be a pretty special account of the Symphony. The opening is weighty and measured with wonderful tonal depth from the PSO strings and Tchaikovsky&apos;s dynamic markings, so often treated in a cavalier manner by conductors, are for the most part scrupulously observed, though Honeck does sometimes take minor liberties if he feels they enhance his conception of the piece. When the lovely second subject melody of the first movement is reached it is played with great tenderness, but avoids any cloying sweetness while the electrifying attack at the start of the development characterises the incisive playing of the PSO throughout this performance. Honeck takes a relaxed and balletic view of the second movement – &apos;Allegro con grazia&apos; – but, unlike many conductors, he stresses the darker nature of the trio section. The Scherzo/March is thrillingly played, its power underlined by terrific impact from the bass drum and cymbals, but the searing intensity, and almost Mahlerian anguish, with which the &apos;Adagio Lamentoso&apos; finale is delivered puts the seal on a performance that should be at or near the top of any short list for this much recorded work. Manfred Honeck&apos;s version of Dvorak&apos;s 8th Symphony from 2014 Dvorak: Symphony No. 8 / Janacek: Jenufa (suite) - Honeck also included a brilliantly conceived orchestral suite from Janáčeck&apos;s opera &apos;Jenufa&apos; . This was the work of the conductor and the young Czech composer Tomáš Ille&apos;. Here they have again collaborated and constructed a 20 minute suite from Dvorak&apos;s opera &apos;Rusalka&apos; that they describe as a &apos;Rusalka Fantasy&apos;. &apos;Rusalka&apos; is the only one of Dvorak&apos;s ten operas to have maintained a permanent place in the repertoire and is packed with entrancing and colourful music. Many would argue that it is the rich orchestral score that is the prime reason for its success, as only the heroine&apos;s aria &apos;Song to the Moon&apos; thrives outside the opera. &apos;Rusalka&apos; is a late work and by the time it appeared Dvorak had not only completed his nine symphonies but also the five magnificently orchestrated Symphonic Poems that include &apos;The Golden Spinning Wheel&apos; and &apos;The Water Goblin&apos;. 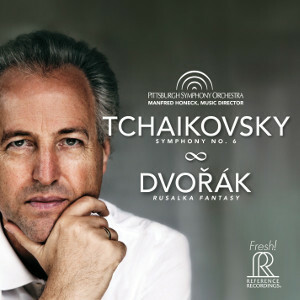 It is no surprise then to find that the &apos;Rusalka Fantasy&apos; is almost like a newly minted Dvorak orchestral masterpiece. The PSO&apos;s scintillating performance of the suite makes it a most welcome and imaginative addition to the catalogue. The skilled recording team (Soundmirror, Boston) have ensured that these recordings, made and post produced in DSD256, are in every way worthy of the performances enshrined on this SACD. There is no doubt that the Pittsburgh Symphony Orchestra are fortunate to have such a perceptive Music Director with a meticulous care for detail and the ability to deliver performances of such consistently high quality. But Manfred Honeck is equally blessed with a supremely accomplished virtuoso orchestra who can fulfil his wishes to the letter. Long may this partnership continue and, hopefully, yield many more such involving, and often spine-tingling, recordings as these. After the repeated encomiums with no obvious negativity in Graham Williams&apos; review, it is puzzling that he deducts one-half star from both the performance and sound. 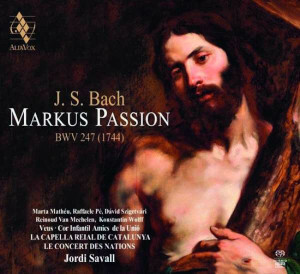 The review recommends this recording as near or as the top choice. Perhaps he can explain the basis then for not awarding a full five stars. The recording does not, for me, quite reach the level of the Pletnev (Pentatone) 5 star version. A couple of Honeck&apos;s alterations to dynamics , again for me, seem just a tad too fussy. 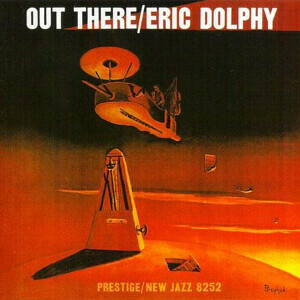 4.5 or 5 stars - this is still a superb release. Commentators must differentiate between recording and performance, accuracy is everything. The performance is what Honeck does, the recording is what John Newton does. On this showing, Sound Mirror are on top of their game at the cutting edge of what is possible in digital recording. More evidence of audible improvements coming with DSD 256 despite the naysayers? You&apos;d have to say so. Not for the first time, our ears may prove theorists wrong. The performance is very good but not exceptional, warm and cuddly even languorous at times, the ensemble play with great virtuosity and precision but overall a touch too &apos;romantic&apos; for my tastes. It is however a disc you should not miss even if it does not quite match Gatti&apos;s inspired interpretation on Harmonia Mundi. I would not place it below Pletnev but that is a matter of taste. “Commentators must differentiate between recording and performance, accuracy is everything”. Sorry John, I can’t follow you there. Although I do not normally react to comments, I invite you to read again. Recording (4) is clearly separated from the performance (5), which you don’t seem to like so much. Fair enough. I find Honeck better than Gatti, especially in the final movement where he misses the point altogether. This is what I though 4 years ago: ….. Gatti‘s “sweet dreaming" phrasing, where his version loses steam and involvement. I could not help thinking: “this is an old man falling asleep, with one final ‘surge’ and then he’s gone”. . Nothing more personal than one’s own view, isn’t it?